Really good service with very fast delivery, no issues and good price. Would use again as I like the concept of keeping the phone and SIM separate so you're not overpaying. I'm barely any worse off getting the iPhone XS Max this way and I only had to put down £200. Bought my new Samsung S9 outright and received it really quickly and easily. It's an excellent idea to separate phones from the contract part to save money. Have recommended Unshackled to friends since, very happy. Great product & price & super fast DPD delivery. Like the model too of splitting up payments, works for me. The website is easy to navigate, competitive price on phone, product arrived on time, no problems. A few weeks ago I decided to get a sim card only plan through Unshackled. This sim came from Virgin and the plan costs £25 a month. For this price I was expecting a lot, and I was very satisfied with what a received. I now get unlimited texts, minutes AND data. I couldn't ask for a better deal as this suits my job which has me always on the move, making phone calls, setting up meetings via text and using the internet. I found the price very reasonable and totally within my budget. If you live a busy life this plan is hands down the best you can go for. Phone contract transaction went through smoothly, but a little more information with regard to retaining my existing number would have been helpful. I had been on the lookout for an unlocked phone that I can use with whatever network I feel like and I came upon unshackled.com. my heart was set on the Samsung galaxy s8, but I couldn’t pay everything upfront, so I only paid £169 and borrowed the remaining 350 that I’ll be paying over the course of 2 years. I also got my sim from unshackled, went for the plusnetmobile, only £5.00 a month and two days later my new shiny phone arrived at my doorstep. I’m really happy with it and glad I didn’t get myself stuck in a mobile contract. What a concept! With Unshackled you choose and pay for your handset and your service separately, and they do all of the legwork. 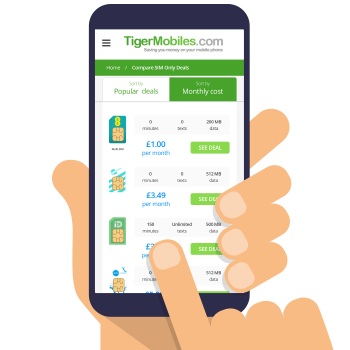 I was able to get my preferred iPhone 7 for £26 a month and instead of being locked into a two year contract paying £50 total, which seemed to be my most likely option elsewhere, I'm paying £6.99 on a small, one month contract which suits my small usage. If I find myself using more, I can just change it to one that suits me better. Next day delivery with DPD was a lovely bonus. How has no one thought of this before? I will never get a new phone any other way!